I thought it would be fun to set up a thread for Q&A questions. 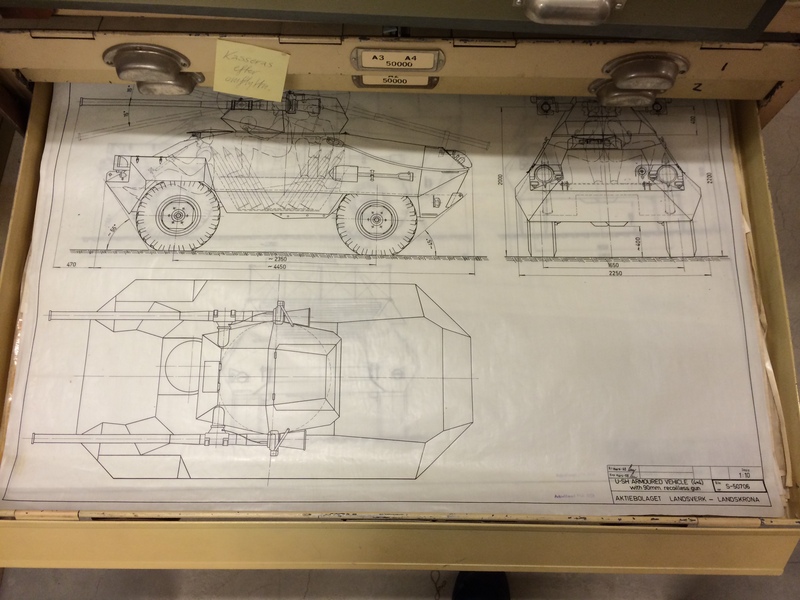 Feel free to submit your questions about anything related to Swedish tanks, SPG’s or AFV’s and more (or tank related stuff found in the Swedish archives). I will try to get to your comments as soon as possible but they might not appear imminently since they need to be manually approved. You can also ask about World of tanks or War Thunder related topics as well if you so wish. I will try to answer as many questions as I can. What did World Of Tanks do wrong regarding the Swedish Heavies? How many WoT branches could Sweden have at max if you include as many tanks as possible, including test pilots and obscure paper tanks? 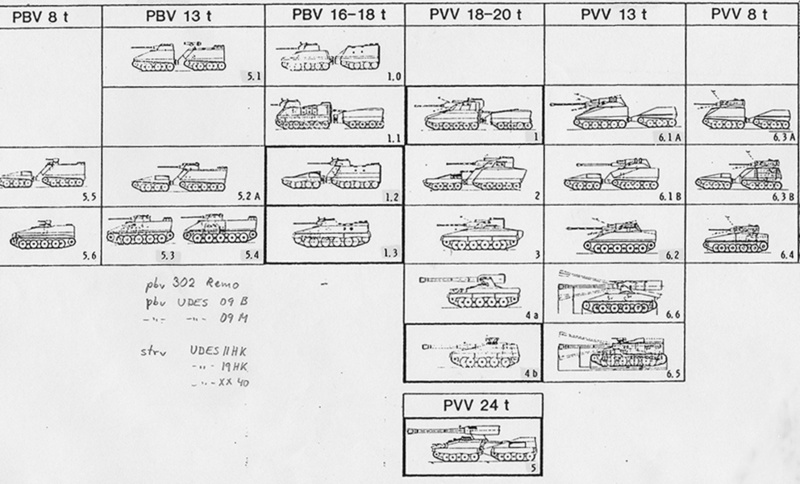 What’s the approximate number of all the Swedish tanks ever designed? How many proposals were there for the Strv 103? I’ve seen a ton of almost-identical ones with minor hull shape differences. I wrote an article on this topic a while ago but in general the Swedish heavy tanks in WoT have had thier turrets buffed to be near impenetrable, their hulls nerfed to be near useless and have had their mobility massively reduced compared to reality. In any case the way WG handled the Swedish heavy tanks was just a sign of things to come as they were the first vehicles handled by WG’s new balance team. This team would go on ignoring the real statistics of vehicles in favor of made up values and are responsible for the overpowered premiums and regular vehicles we have seen since 2016 (like the chrysler k, Object 252U Defender, Object 268 v4 Etc) which in turn has unbalanced the game and are a large reason behind WoT’s declining player numbers. Its a bit hard to say at the moment because i have not looked at a Swedish tree for WoT seriously for a very long time. But id say there is easily room for another 4 branches including full light, td, turreted td and SPG, as well as another medium line. I dont think we will see half of those but WG just recently announced they are doing a Swedish medium line of some sort so maybe its not impossible that we will see another line before the game dies. If we are strictly talking tanks id say maybe 150-200 or so designs but if we include tracked TD’s, SPAAG’s & SPG’s there is easily over 500. We are finding new ones from time to time too so its not impossible that number will go up. While there were many designs based on the S-tank concept (such as the UDES 03, UDES 11, UDES 04 and the various designs for those projects) there was only really one Strv 103 proposal that was improved upon over time. Thats not to say that there vere not versions of the Strv 103, as there were the Strv 103-0, A, B, C & D versions as well as the S1 & S2 prototypes. There was also a UDES 03 proposal which used a modified strv 103 chassi with a redesigned magazine and the shorter 105 mm L/45 gun as well as the UDES 01 ( http://www.ointres.se/udes_01-skiss_web.jpg ) which was a proposed further developed Strv 103 with a 1200hp engine and improved protection and firepower. “there was only really one Strv 103 proposal that was improved upon over time.” Well, do each of these improved versions that came over time have their own name? I’d like to trace the S-tank from the first sketch through its every stage of development, including paper proposals, prototypes, test pilots and dummies and put them all on a time axis in chronological order to get to see how it evolved. This would include projects that branch off, like the UDES tanks you mentioned a little earlier in the same answer. That might make for a neat article. 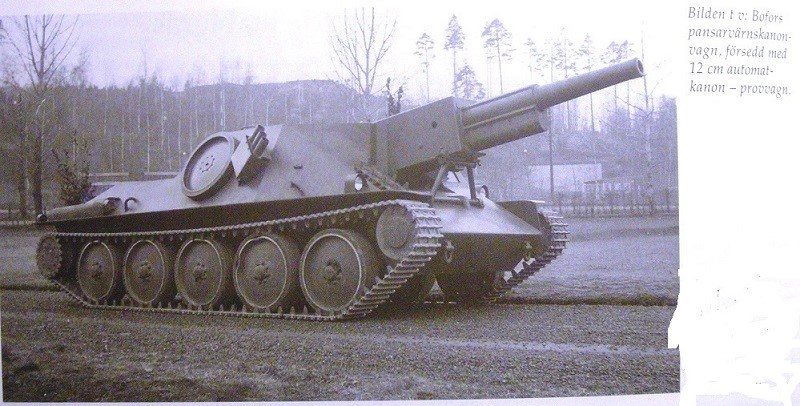 Are there any similar big-gunned designs such as the Trätoffelvagnen and the Stormpjäs fm/43 with the 15cm recoilless rifle. If so, do you have any pictures or drawings? I really love the look of these vehicles. Regarding WoT again, is there any potential for a Swedish armored car line? What would be the candidates? Off-Topic: Do you think WG will turn WoT the right way this year, given the pressure people like QB and DezGames and pretty much the entire EU and NA forums put on them? It’s sad to literally see it die in front of our eyes while WG doesen’t listen to people that could save it easily if they were to be in charge. Thank you for the time you take to answer my questions! If it was possible i would be more than happy to, but unfortunately that seems impossible at the moment. Other than SPG’s there isnt much i can think of right now, there is this thing though ( https://i.imgur.com/DtHW2qP.png ) which is a lightly armored but mobile assault gun with a autoloading 12cm gun. That is unlikely, there are plenty of low tier candidates up to tier 4-5 or so but then there is basically nothing untill the UDES 31 ( http://www.ointres.se/udes_31-skiss_web.jpg ) which is really more of a wheeled TD. There might be a version of the Landsverk-Unimog armored car ( https://i.imgur.com/w2ZeVan.jpg ) that could fit but currently we only know of recoilless rifle and rocket launcher armed versions. I think they will try a bunch of different stuff but i dont think that it will have much effect. In my mind what would need to be done to save the game is to rebalance pretty much everything added since 2016 to be more in line with what we had before that. Thats pretty much a impossible request by itself but then there is the fact WG never nerf any of the Premium tanks they add, and by doing so and adding more and more overpowered ones they have killed the fragile balance of the game. All premiums would have to be rebalanced as well and thats never going to happen. Thank you for your answers! I appreciate these Q&As even though I don’t see much activity around here. Maybe WG will go to extreme measures to save their product, including a possible premium rebalance with gold refunds or some other thing to keep you from raging too hard when your OP prem gets nerfed. I really wish it to be a lesson for WG, not an end. Why did the Pvkv II not enter service? Why did the m/39, m/40 and m/42 have two coaxial MGs? Was there ever any attempt or plans to lengthen the barrels on the m/42? With the purcase of the Centurion Mk3 the Strv m/42 chassis could be used instead as it was no longer serving as Sweden’s main tank. Of course this became the Strv 74. 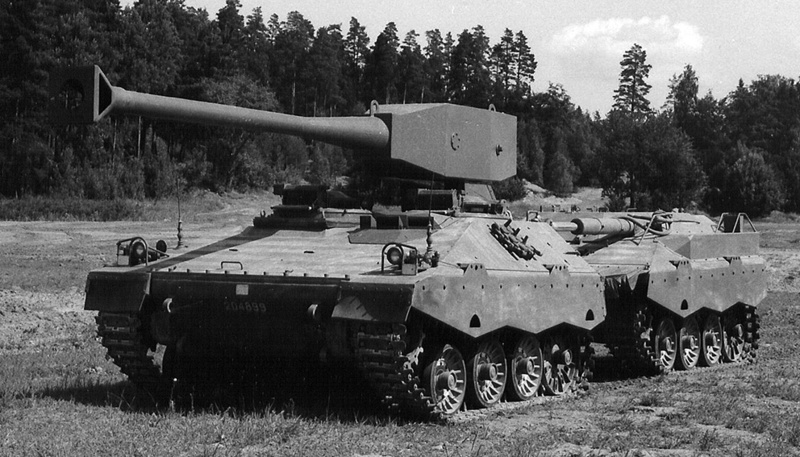 The Strv m/41 hulls were however converted to Pbv 301 APC’s instead of Pvkv II’s. I have never come across any official reason why, but it could be that they were inspired by the German Pz.3 design which also featured dual coaxial guns in its early versions. On the Swedish tanks these guns could be aumed independently of the main gun, and later on they could be dismounted for use in a anti air mount (at least in the case of the strv m/42). Yes, in 1943 there were several proposals for upgrading the firepower of the Strv m/42 which included lengthening the main gun to L/40, L/50 or even L/60 caliber lengths. However these were never tested as sstimations showed that the penetration would have still been insufficient. By that point there was also the “Delat torn” project which not only had a much better (and existing gun) but also a autoloader. 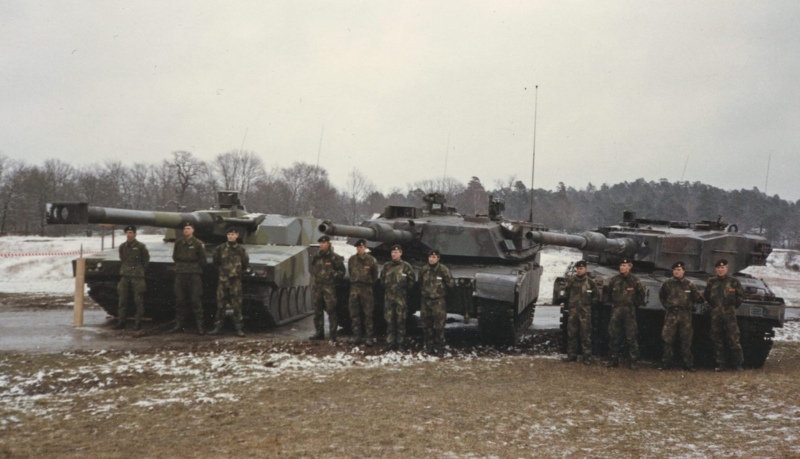 1.1) Are there plans to publish a book about the history of the Swedish armored vehicles? 3) Did you find segmented tanks or any other bizarre variants of tanks? 5) Are there any Swedish half-trucks? I will keep publishing info for the forseeable future though it will take some time to get to all of those, i will make a try though. There was some discussion in the past but as of right now there are no concrete plans, it is something id love to do eventually though. As far as i know there was no heater in Swedish tanks of the ww2 era other than one for the engine itself. Im actually not sure, sorry. Yes there are plenty in fact, everything from polish and french prewar designs to an american proposal for the Kanonenjagdpanzer and a bunch of french prototypes. Im assuming you mean half tracks. Yes there was at leas one which was produced by Volvo as an artillery tractor. These were more or less license produced Demag Sd.Kfz 10 and were known as Artilleritraktor m/43 in Swedish service. Sounds interesting. Is there anything relatively lesser-known or never produced? I’d love to see the Polish and the French stuff. Will you publish them in short posts like you did with the US concept series ones? we will see, i probably will put up more foreign tank stuff here, and yes there are some odd things that never saw service in the docs i have. The project Strv 2000 is interest to me, is there any article descripte it in English version? Do you have any plans to go into more detail about this project? Hi sorry for the late response, i might do an article on the Strv 2000 in the future but if i do it will be heavily based of http://www.ointres.se/strv_2000.htm since i dont have much more in the way of information on it. As for the KE/CE situation i belive its just a typo, the information i have points towards that Swedish developed composite armor was more effective against HEAT than AP. I have seen some information indicating the weight limit for many bridges in Sweden only 30 tons，how Sweden army solved this problem when they plan or buy the heavier tank?